HRD attestation is the first phase in the embassy attestation process. 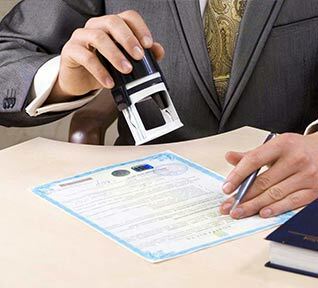 It is a mandatory process in certificate attestation. 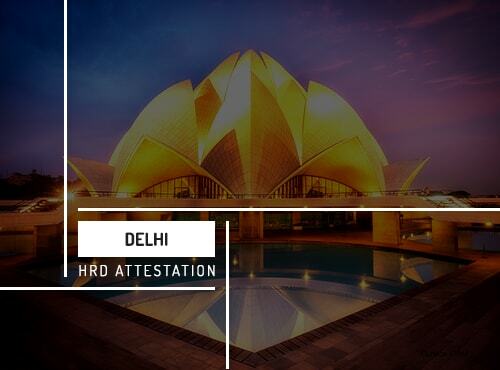 In India, each state HR department does the attestation process. Even though the process of HRD attestation is same, the rules are different in each state HRD. HRD attestation is the verification of educational documents. Each concerned state HRDs does the educational certificate attestation to use abroad. The rules of HRD document verification and attestation process varies from each state. You have to do the educational certificate attestation from the state where you completed your education. If you are a resident of Kerala, but completed your studies from another state, then you have to do the degree attestation from that state’s HRD. In HRD attestation, the universities verify the documents first and only after that, the HRD attest the documents. HRD attestation is done only for government approved (UGC/AICTE/NCERT) educational documents. HRD attestation is compulsory while migrating to another country for higher studies or work. Educational certificate attestation is done to prove the authenticity of the certificates. HRD attestation is crucial for admission in foreign universities. While you apply for admission in foreign universities and schools, they need to know the authenticity of the educational certificates provided by you. So, you need to attest the certificates from the embassy of the migrating country located in your home country. Similarly, you need HRD attestation for getting employment opportunities in foreign countries. In some cases, you need to provide educational certificates for verification purposes. HRD attestation is necessary for migrating to other countries for higher studies. At Urogulf, we help our clients from the complexities of the attestation process. Our team of experts will guide you through the entire procedure and take away the stress of traveling for attestation. We have a wide network for doing HRD attestation directly through the government agencies. Our experts will do the HRD attestation procedure according to the rules and regulation of each respective state HRD. We ensure the safety of your documents throughout the procedure. We will provide you with the HRD attestation and verification within a limited time. 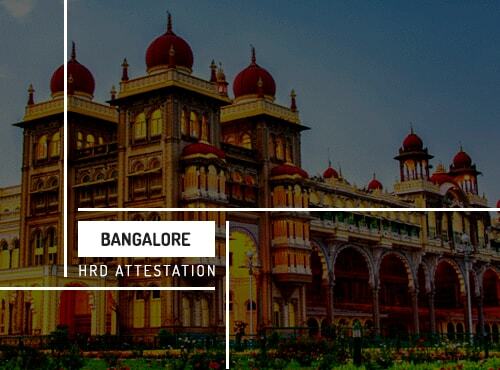 Bangalore HRD attestation is mandatory for anyone who completed their education from the state of Karnataka. Delhi HRD attestation is mandatory for anyone who has completed their studies from government recognized universities and schools in Delhi. 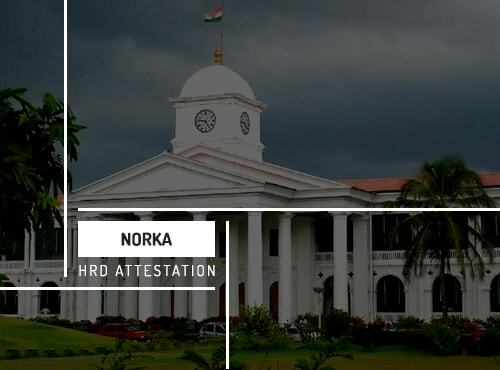 Norka Roots is the government authorized agent in Kerala for doing HRD attestation for educational documents issued by the state of Kerala. 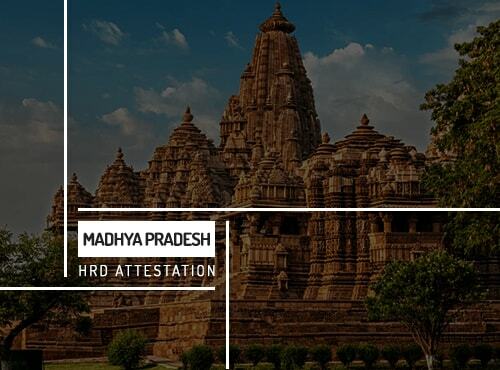 Madhya Pradesh HRD attestation is mandatory for people who completed their education from Madhya Pradesh. 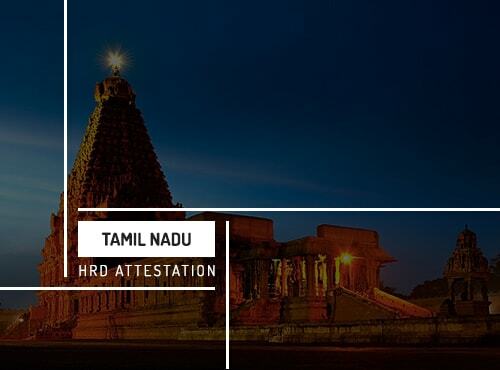 Tamil Nadu HRD attestation is mandatory for any students who completed their studies from the state of Tamil Nadu. 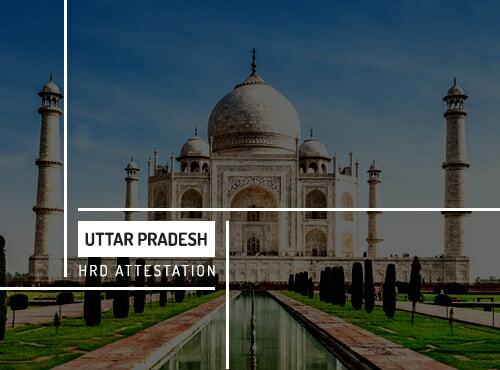 Uttar Pradesh HRD department do the HRD attestation process in UP.It is compulsory for anyone who completed their education from UP.